Although Elizabeth Bennet wishes to marry for love, her parents and suitors see the matter entirely in terms of wealth and status. Then there's Mr. Darcy, whom Elizabeth keeps at more than arm's length for his rudeness and arrogance. Will there ever be a match? Will anyone ever show compassion for Mrs. Bennet's poor nerves? Will Elizabeth be forced to remain in the poverty-stricken filth in which she has been brought up? A perfect choice to perform in conjunction with English literature studies, or any time for that matter. Simple staging. All in under an hour! Q.: WHAT INSPIRED YOU TO WRITE THIS ADAPTATION? 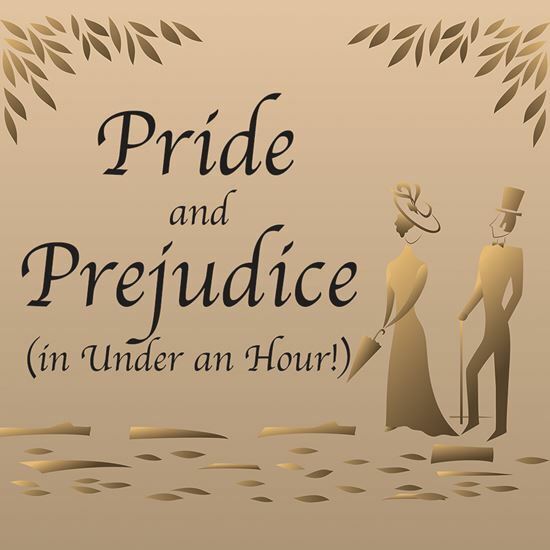 A.: This plays was inspired by the wonderful characters created by Jane Austen. Q.: WHAT'S YOUR FAVORITE PART OF THE PLAY? A.: I think my favorite part is Kitty and Mary Bennet wrestling on the floor in front of Mr. Collins. A.: As with any comedy, I was trying to achieve a good laugh for the audience.